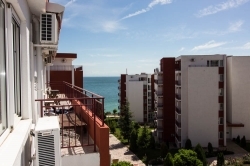 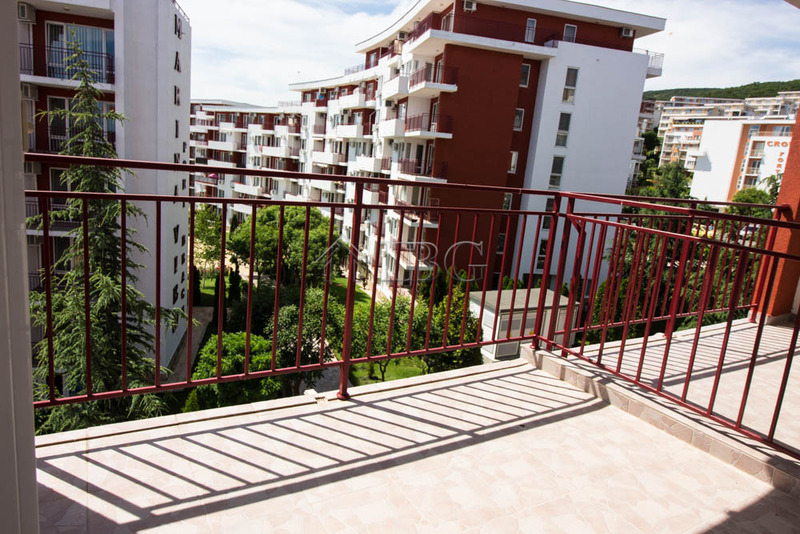 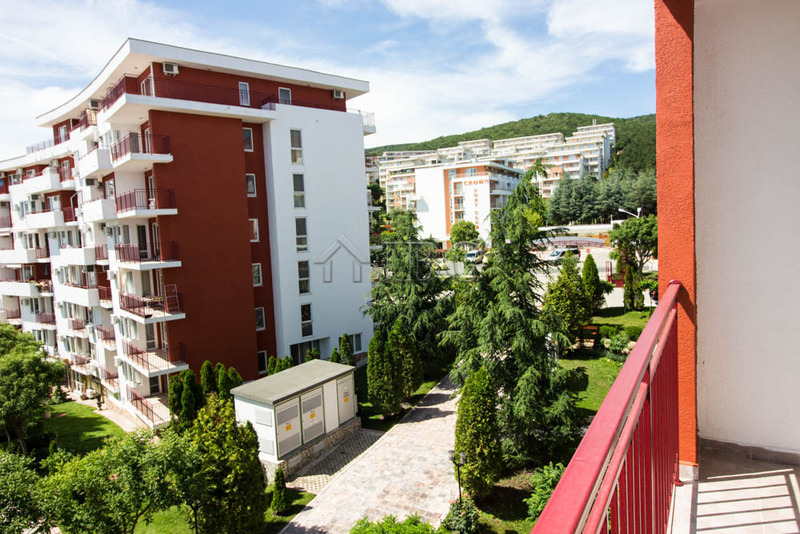 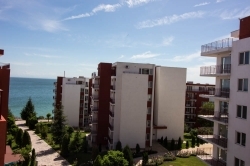 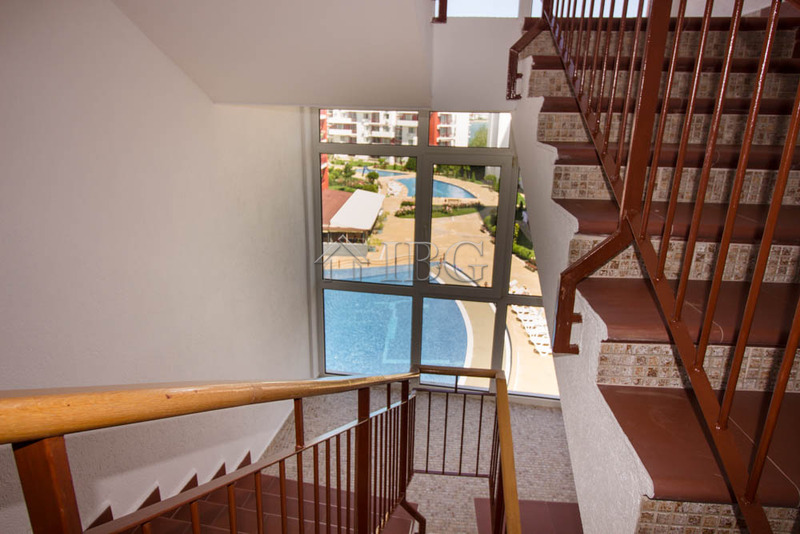 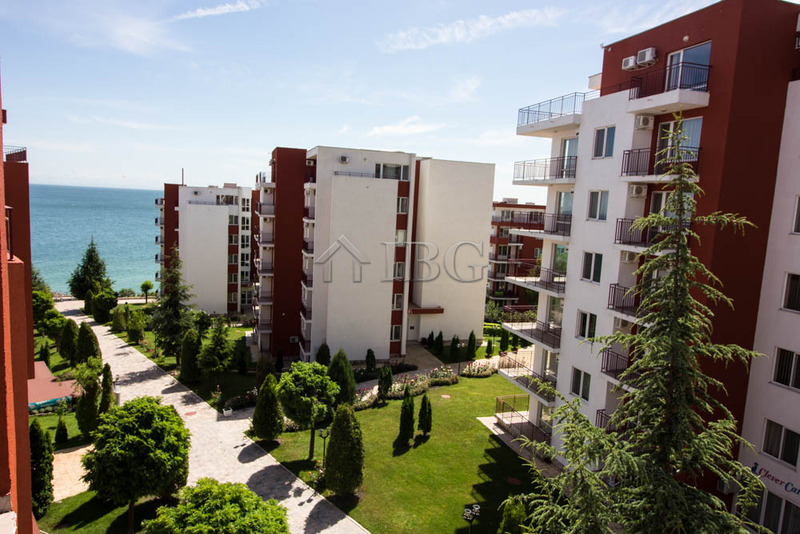 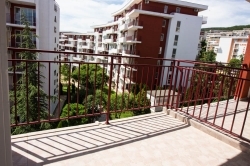 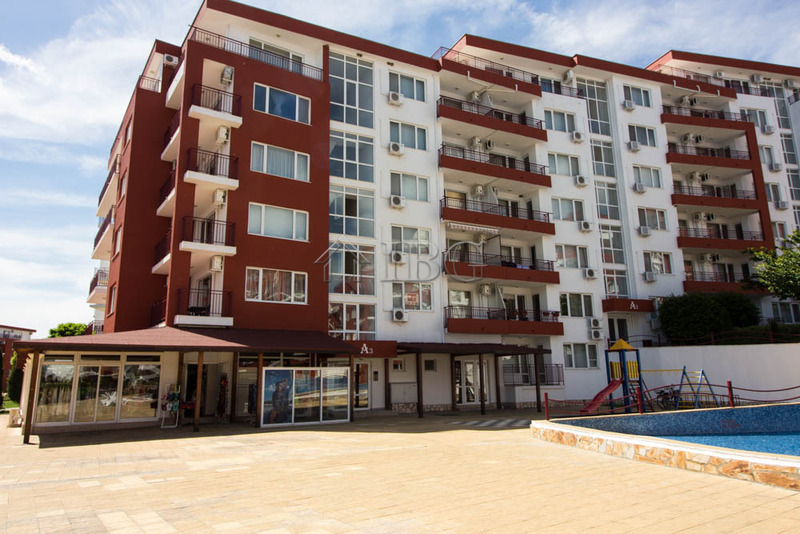 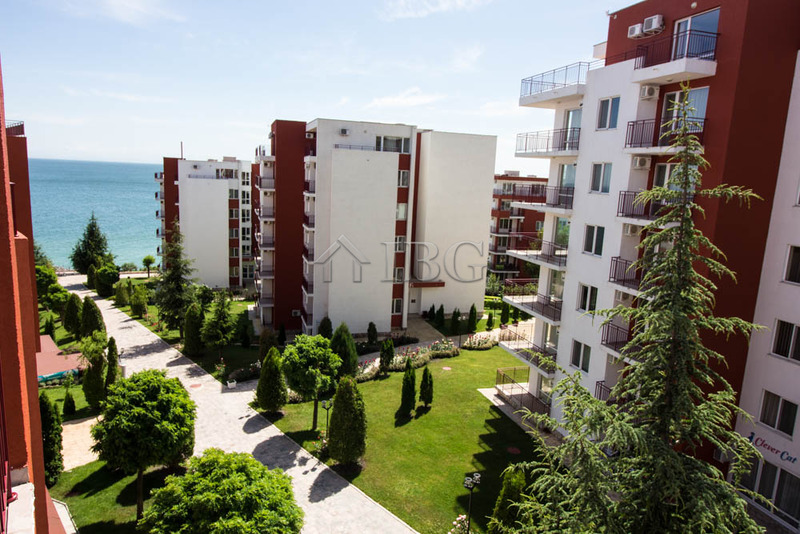 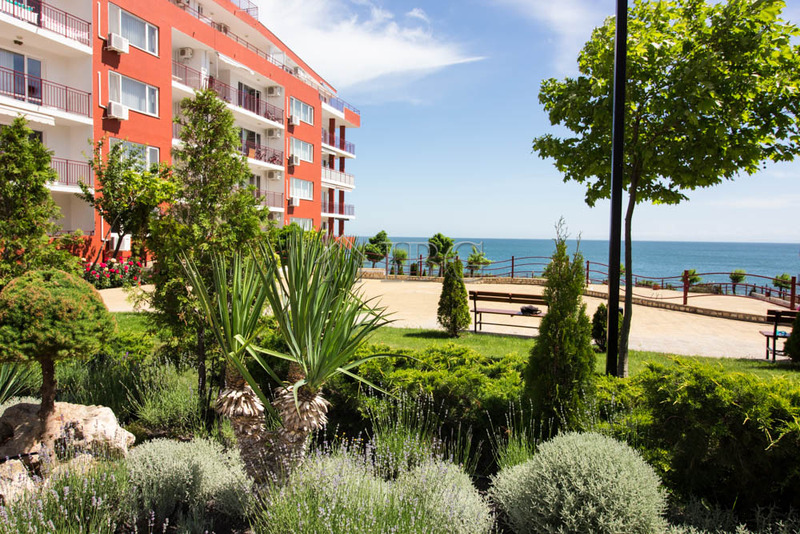 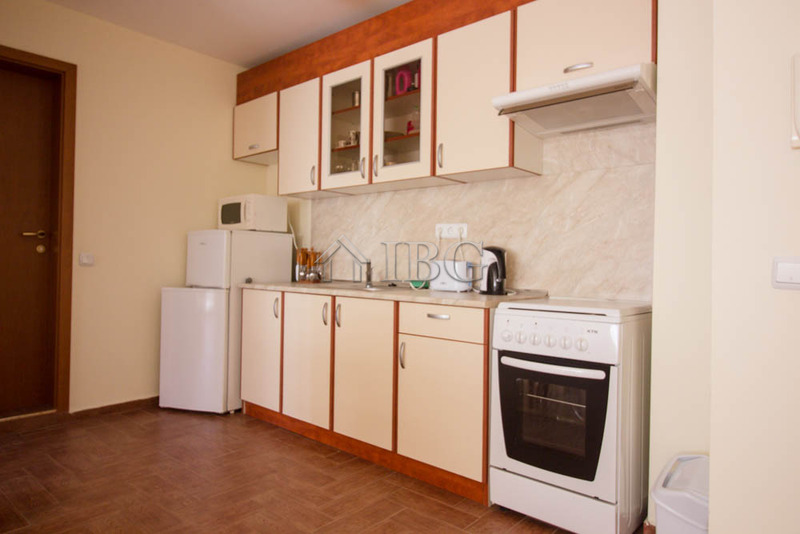 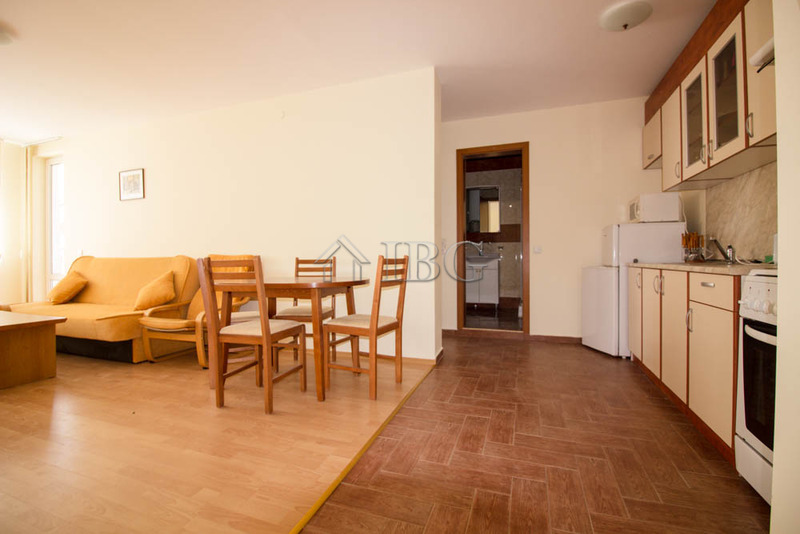 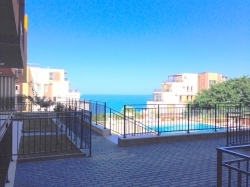 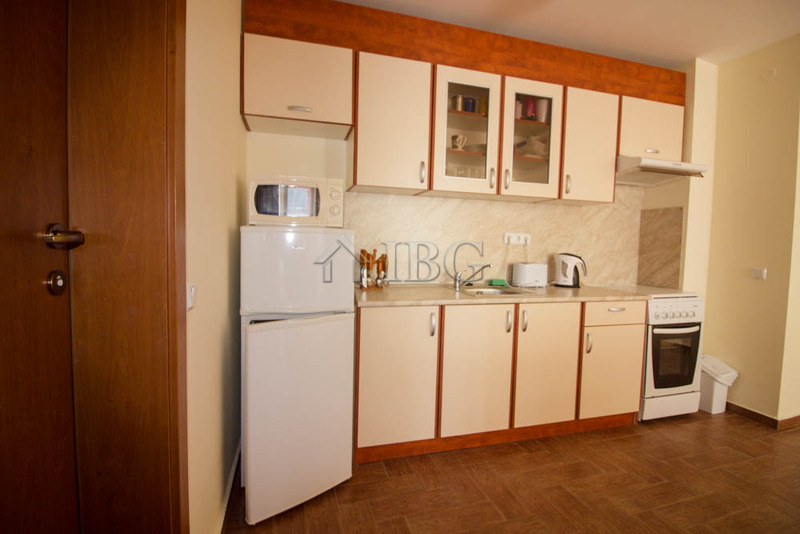 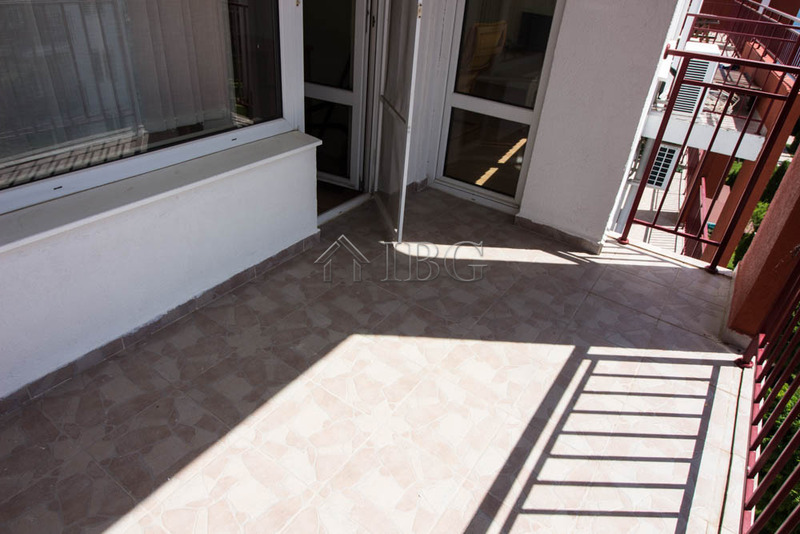 IBG Real Estates is pleased to offer this very spacious one bedroom apartment located in Panorama Fort Beach, Sveti Vlas. 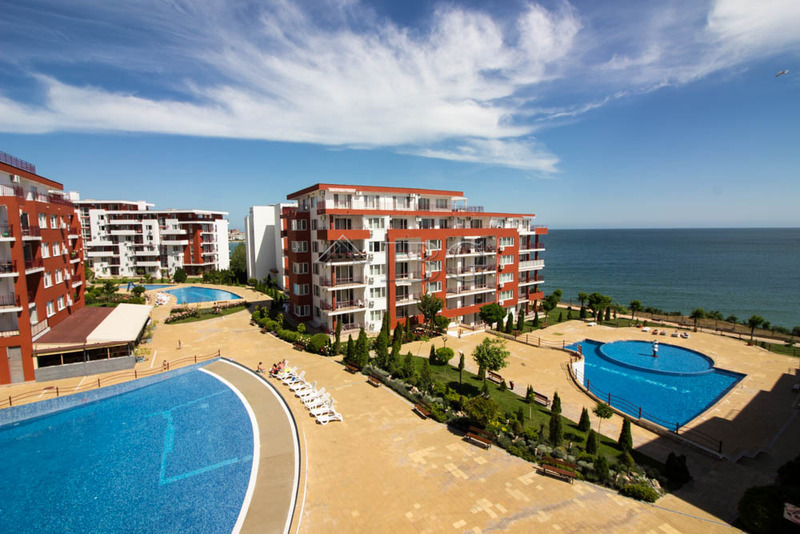 Panorama Fort Beach is part of the Grand Resort and it is on the first line on the beach. 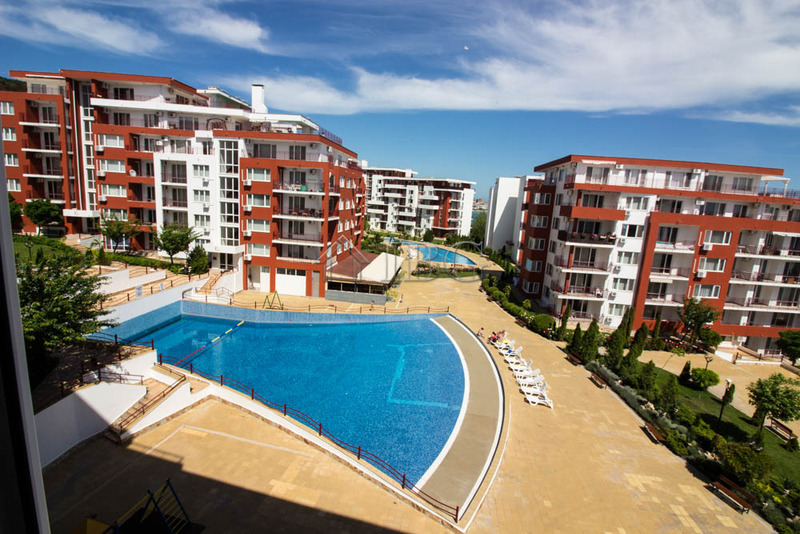 Grand Resort offers 17 swimming pools /one is with artificial waves/, 3 restaurants, supermarket, indoor and outdoor fitness, SPA & Hamam, kids centre, 3 grocery shops, medical centre, currency exchange, billiards, table tennis, mini golf, tennis court/football field, etc. 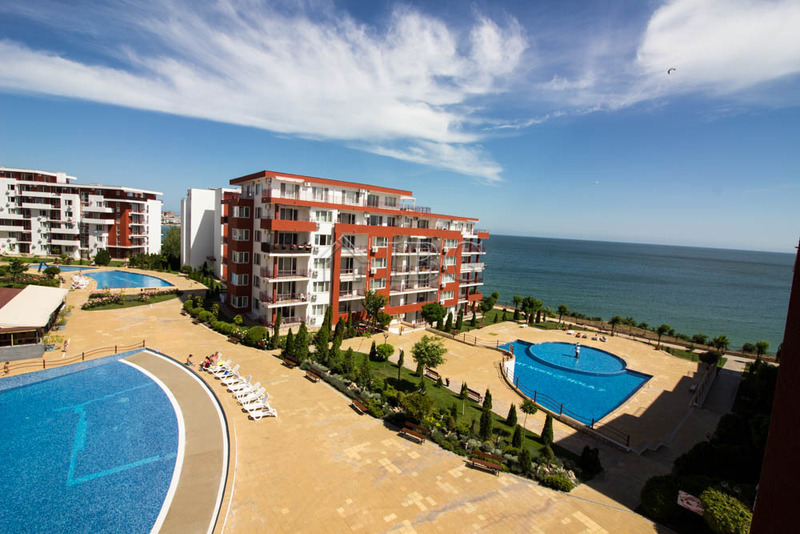 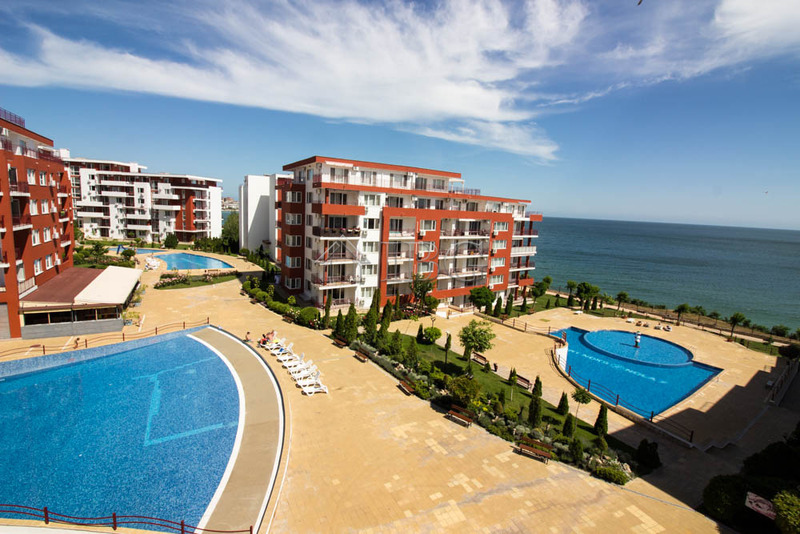 The Aqua park in Elenite and the Marina in Saint Vlas are on a walking distance. 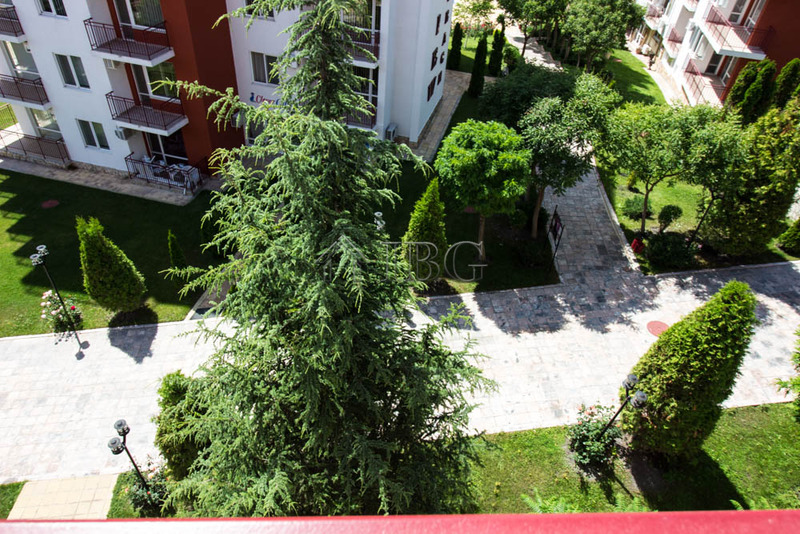 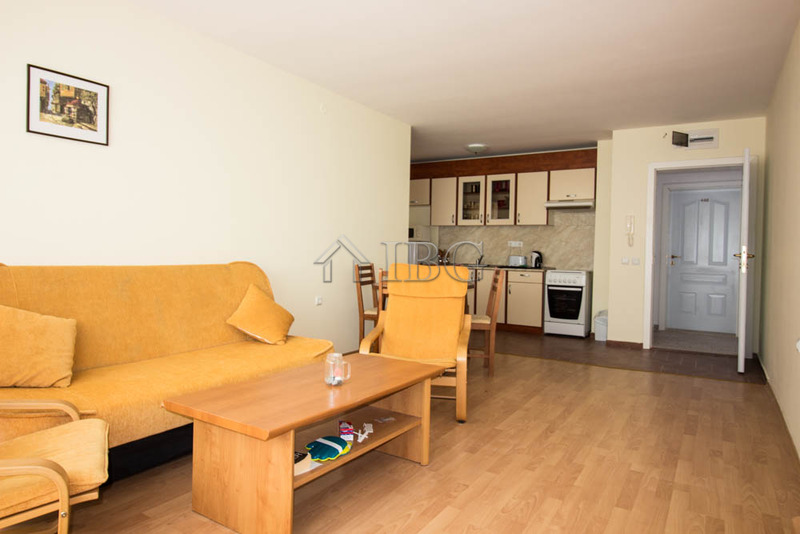 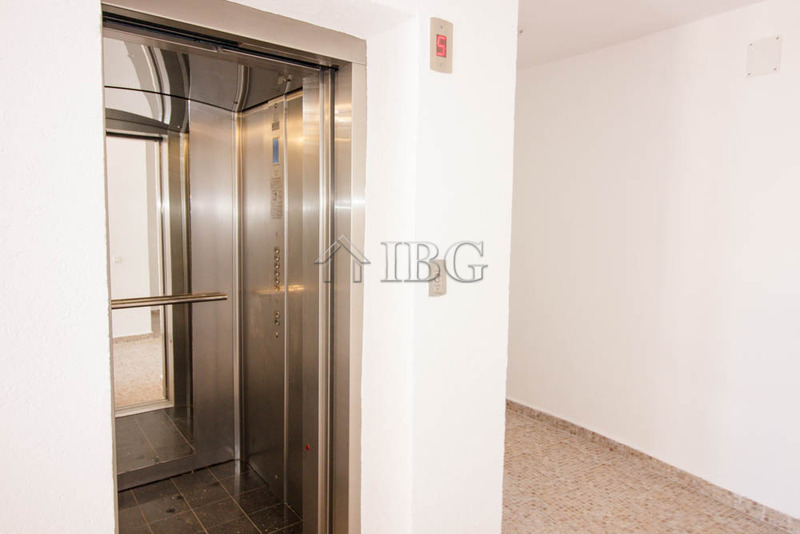 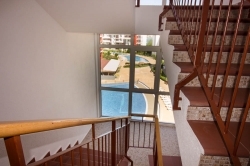 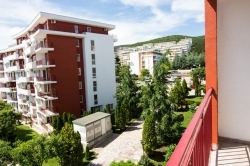 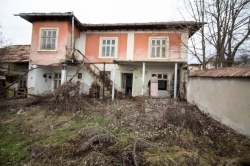 The apartment is on the fourth floor (building with lift), with pure living area of 61.50 sq.m. 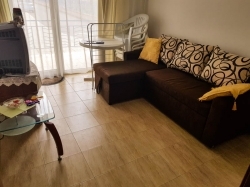 It consists of a bright and spacious living room with dining area, kitchenette, one bedroom, bathroom and a balcony with beautiful views to the sea on one side and the mountains on another. 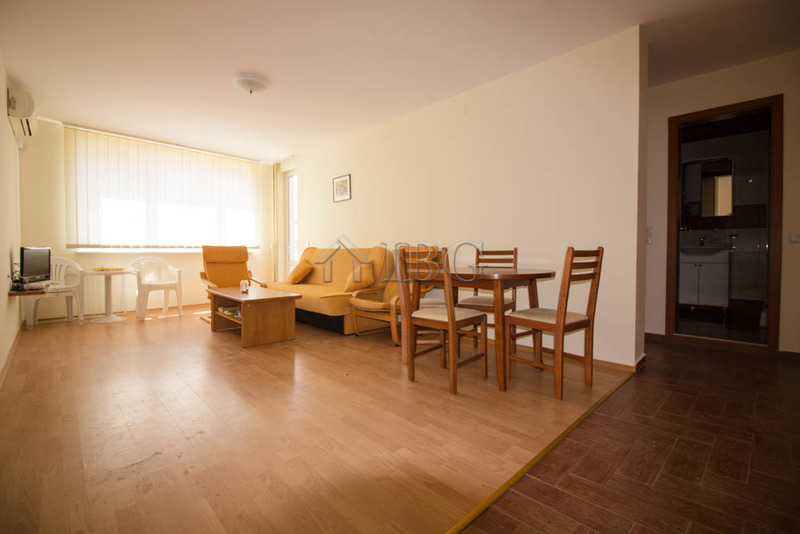 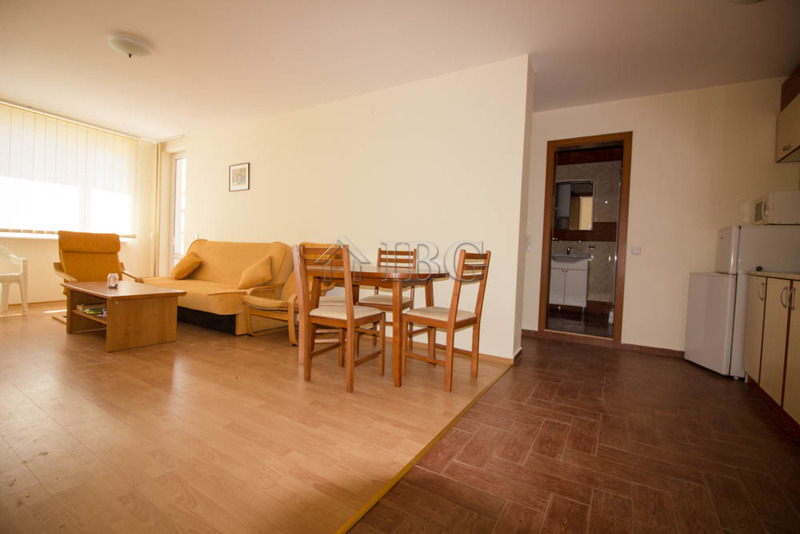 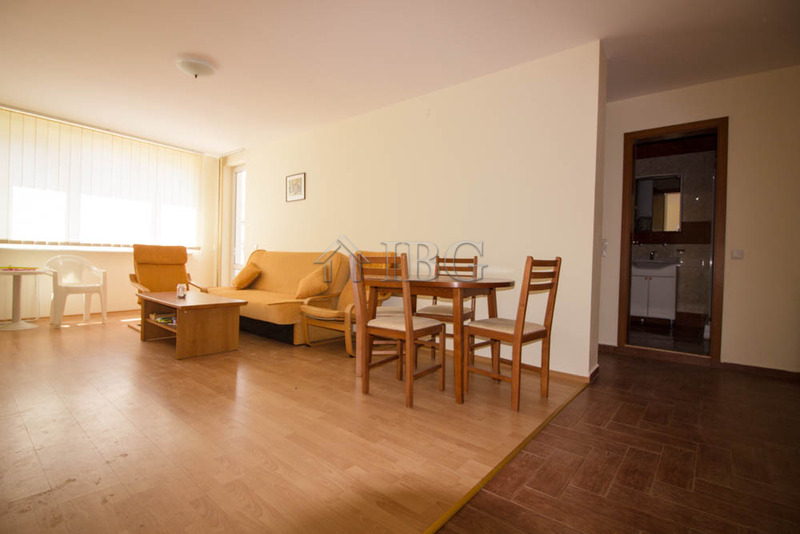 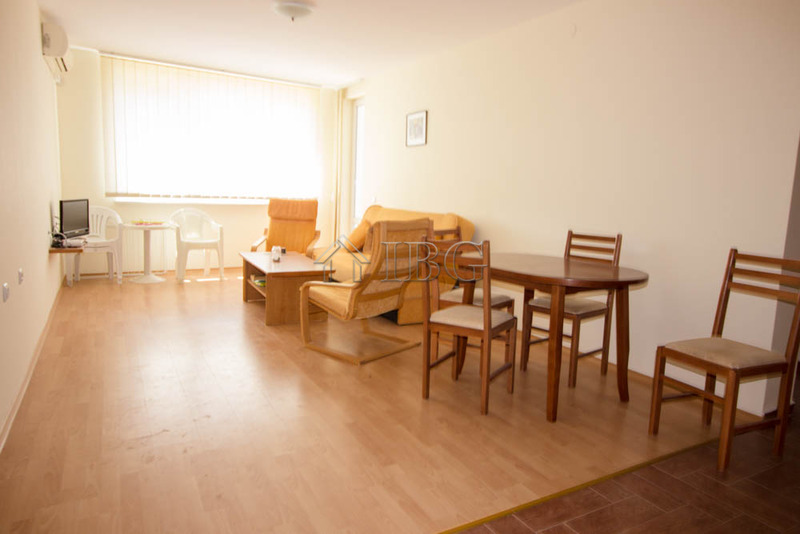 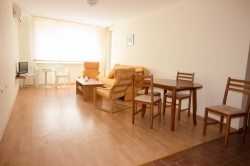 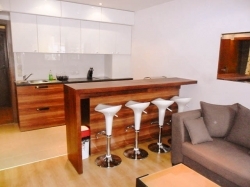 The apartment is for sale furnished and equipped – ready to use or rent out. 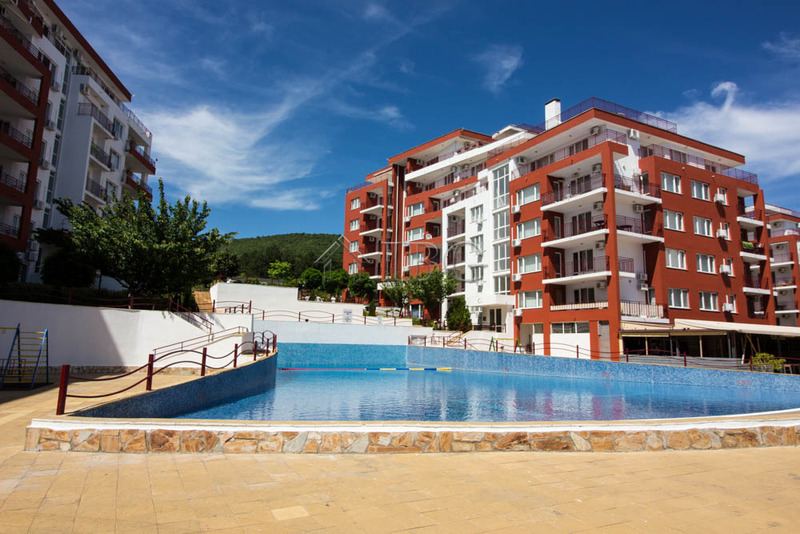 - 17 (seventeen) pools for children and adults, including a waves pool, pool with a water slide and a Jacuzzi. 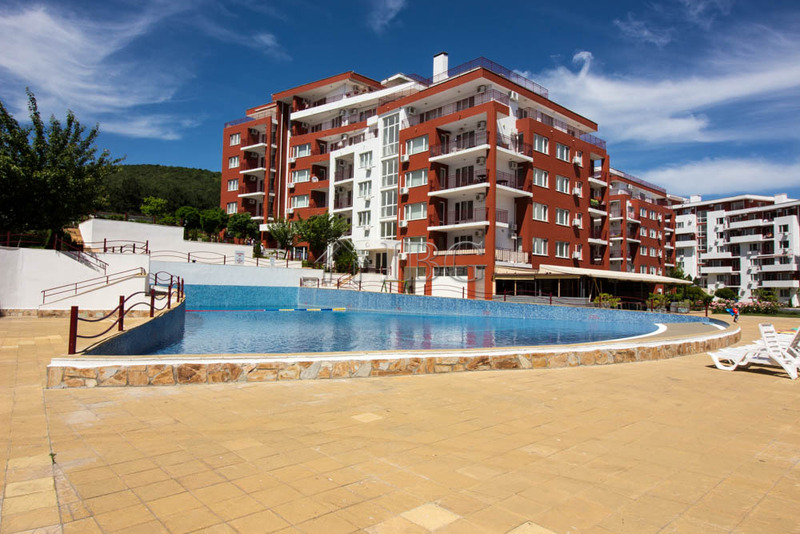 The sun lounges around the pools are free of charge. 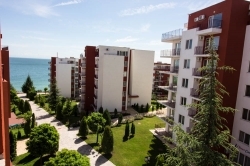 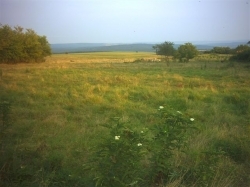 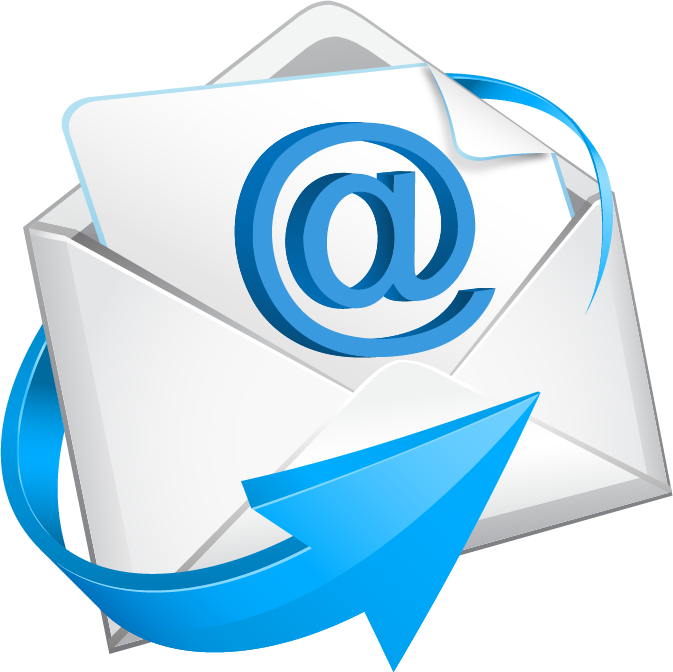 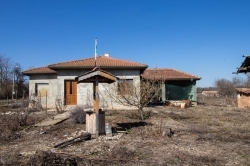 - vast recreation areas with lots of well-maintained lawns, trees and flower beds. 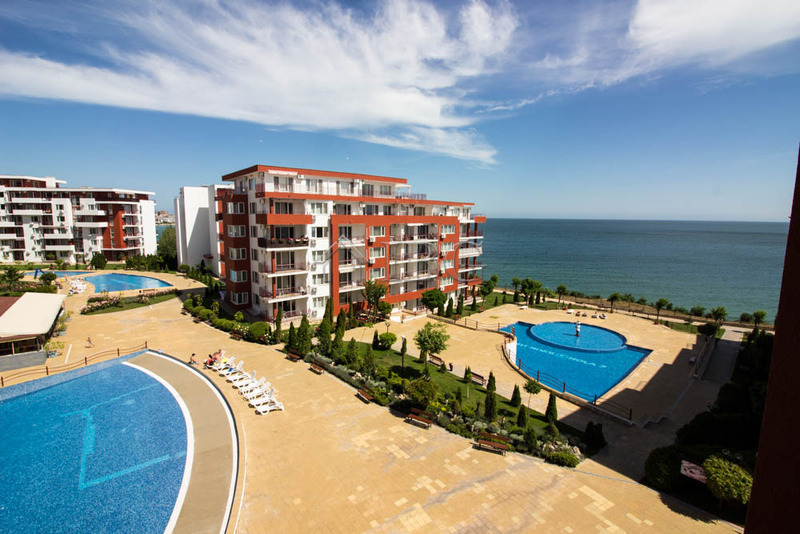 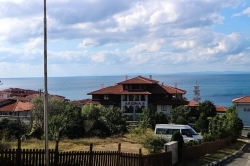 The availability of bus and taxi service provides quick and convenient transportation to Sunny Beach.